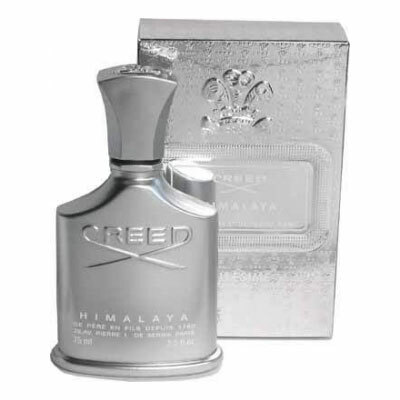 Oliver Creed created this masculine fragrance in remembrance of his Tibetan mountain-climbing expedition. Himalaya conveys the magnificence, beauty, power and eternity of the unapproachable mountains with snow-covered peaks. The flacon for Himalaya is unique among the Creed collection for its metallic exterior, which resembles both a mountaineer's canteen as well as the shiny surface of ice on mountain rocks. The fresh, citrusy opening offers notes of grapcefruit, bergamot and lemon. The fragrance takes an oriental turn with a heart featuring sandalwood, all on a base of musk, ambergris and cedarwood. Himalaya was launched in 2002. Himalaya was created by Olivier Creed Sixth Generation and Erwin Creed Seventh Generation.